Comm Eye Health Vol. 18 No. 55 2005 pp 105. Published online 01 October 2005. Cataract Surgeon/Health Planner. National Eye Care Programme Manager, Box 950, Medical Headquarters, Banjul, The Gambia. Cataract Surgeon. Deputy National Eye Care Programme Manager, The Gambia. 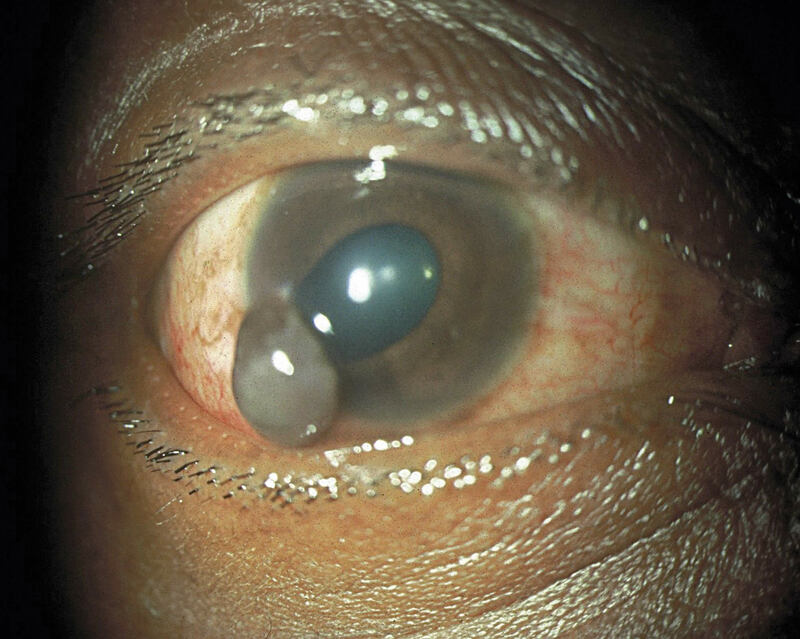 Eye injuries are common and a leading cause of preventable unilateral blindness worldwide. The causes vary, but drawing upon experience from The Gambia and Senegal, trauma is more common during the farming season and among small-scale metal workers working without eye protection. 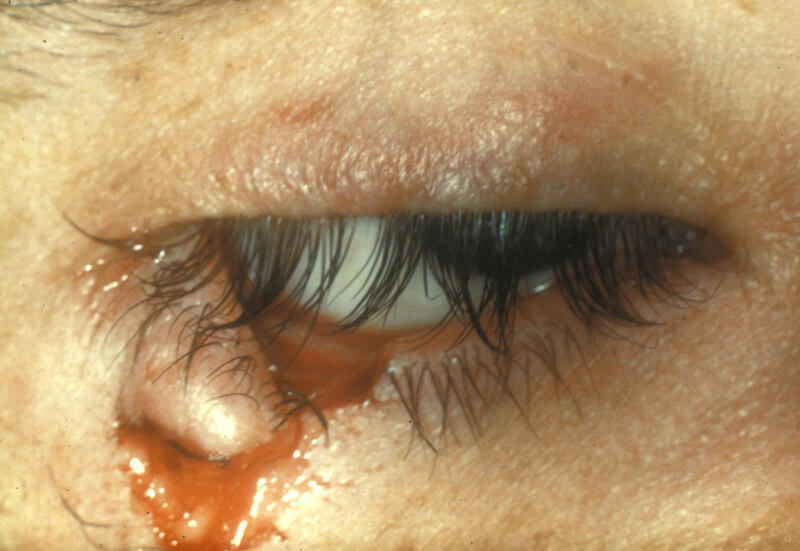 Stick injury is common in children and farmers, sometimes causing a penetrating injury that can result in the affected eye quickly becoming infected. Blunt trauma is common among children, who can be injured with a catapult or stone. 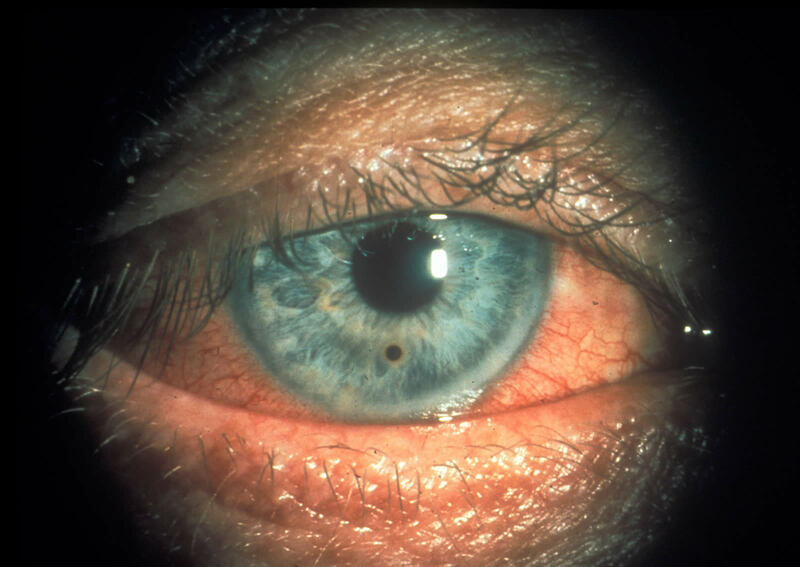 The dusty environment is a common cause of corneal, conjunctival and sub-tarsal foreign bodies injuries. Lid laceration. © Helen Keller. Injuries are often preventable which makes education at the community level important. Village health workers and community-based volunteers (such as ‘Nyateros’ or ‘Friends of the Eye’ in The Gambia) are important promoters of good eye health practices. having a plan of how to refer patients, including nearest referral facilities, and options for transporting patients in an emergency. The chart below provides an easy reference for community level workers faced with an eye injury in their clinic or community.